In a changing world, Congregation Beth Abraham has never changed. Physically, perhaps, but not spiritually. For there is more to this synagogue than cement and mortar and wood. External embellishments over the past years have attracted the eye, but the underlying spirit has attracted the heart. “Beth Abraham” literally means “House of Abraham.” Among his greatest attributes was his love of his fellow man. In his home all were welcome, from the weariest traveler to the wealthiest merchant prince. They were made to feel a part of Abraham’s household….they were made to feel welcome and they were told that they could always return and find a safe refuge in Abraham’s house. 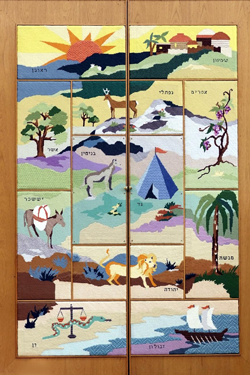 So, too, with this “Bais Avraham.” Over the years newcomers to Bangor found a haven here – an Orthodox oasis where one was never expected, and even those whose religious roots were not observant, found a place where they and their children could feel comfortable. To be sure, the original founders of Beth Abraham might be somewhat startled at the physical changes in the shul over the years but they would be really amazed at the role that the women of the congregation have played in bringing beauty and order to a once male-dominated world. 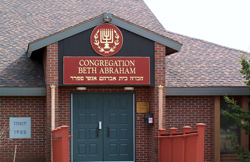 The Beth Abraham Sisterhood welcomes visitors as guests and is responsible for the weekly kiddush. The ladies also prepare meals for sale - whether for visitors or local residents. Mouthwatering chicken and accompaniments are a boon to kosher travelers. Beth Abraham without it’s Sisterhood just wouldn’t be Beth Abraham. Perhaps the Beth Abraham Synagogue can best be described in one word – home. Many people, members and nonmembers alike, have always found a “safe harbor” here. A place to worship in their own way. The members of Beth Abraham, who belong to no special social strata, combine hard work and a love for their “shul” to keep it alive. From one generation to another it has kindled a lifelong sense of Judaism. We hope and pray, that spark and its flame, will burn eternally. Are you in need of a Shabbos meal? Do you need to give someone a shiva gift? Have you no time to cook? Do you not know how to cook? The Beth Abraham Sisterhood has a solution for you! Our Shabbos dinner serves four people amply and consists of roasted chicken cut into eight pieces, potato kugel, vegetable kugel, brownies, four challah rolls, one bottle of grape juice, salt, pepper, two tealight candles and matches. The meals are prepared by the Beth Abraham Sisterhood in the shul kitchen. Meals are delivered to the local hotel or location of your choice, along with an electric blech, which must be returned to the shul on Sunday at Shacharis. Each meals costs $100. Orders must be made at least 24 hours in advance. Please call 207-942-8093 to order a meal. Shachrit begins at 9:00 A.M. on Shabbat and the Yom Tovin. Services for Rosh HaShanah and Yom Kippur begin at 8:00 A.M.
During the summer months, mincha service begins at 7:00 P.M. on Friday evening. Mincha is at approximately fifteen minutes before local sunset on Shabbat and all holidays. 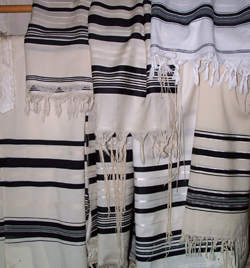 Times are announced on Shabbat and the Holidays. Precise times for ma'ariv are announced each Shabbat and Yom Tov. Congregation Beth Abraham welcomes Shabbat at 7:00 P.M. during day light savings time. Need to find other davening times for Bangor, Maine? 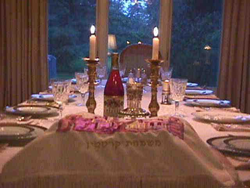 Our Shabbos dinner serves four people amply and consists of roasted chicken cut into eight pieces, potato kugel, vegetable kugel, brownies, six challah rolls, one bottle of grape juice, salt, pepper, two tealight candles and matches. Each meals costs $100. Orders must be made at least 24 hours in advance. Please call 207-942-8093 to order a meal.